Peace of mind, for you and those who care about you. As we grow older, finding the right balance between independence and care is essential to ensuring our happiness and quality of life. We have worked closely with older Australians to deliver technology solutions designed to help them enjoy a more independent life as they age. With so many products available in the marketplace to choose from, what makes us different is our commitment to delivering the most desirable solutions for our customers and providing ongoing support – face-to-face, each and every day. We understand that the support you need doesn’t start and end with a high-tech gadget. Our products are unobtrusive, easy-to-use, reliable and adaptable to suit your individual lifestyle and needs. They form part of a solution designed to deliver peace of mind – both for yourself and your carers – and allow you to enjoy your independence longer. Desirable tech for the young at heart. With the help to make it work. 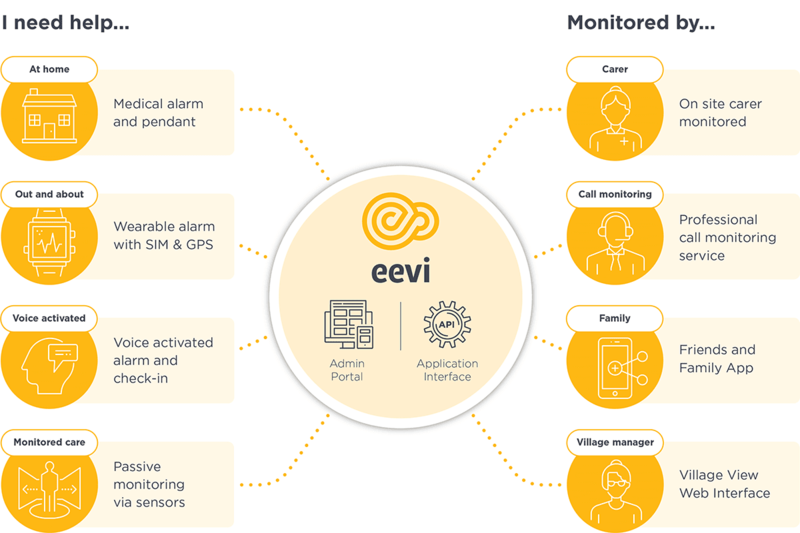 eevi’s care technologies are eligible for Consumer Directed Care (CDC) government funding.